Here at dealchecker, we think a trip to Havana should be on everyone’s bucket list. 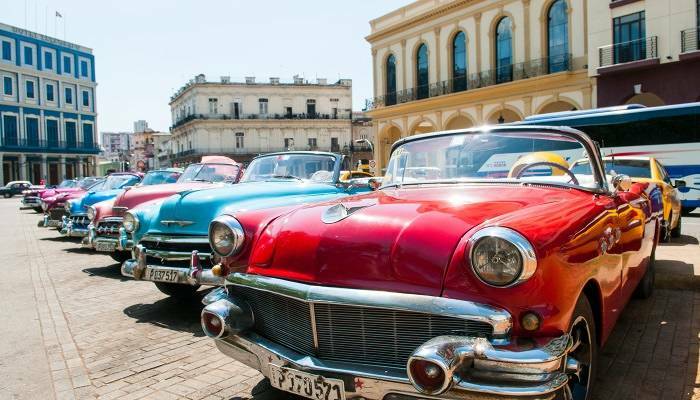 Retro cars, salsa bars and deliciously tasty food, not to mention colourful buildings splashed all over the city – what’s not to love? We’ve put together a handy guide brimming with tips and tricks to help you get a good dose of Cuban charm in this vibrant capital. With plenty of boutiques, restaurants and museums, the maze of streets in Old Havana make for a great day of browsing and soaking up the city’s vibrant atmosphere. 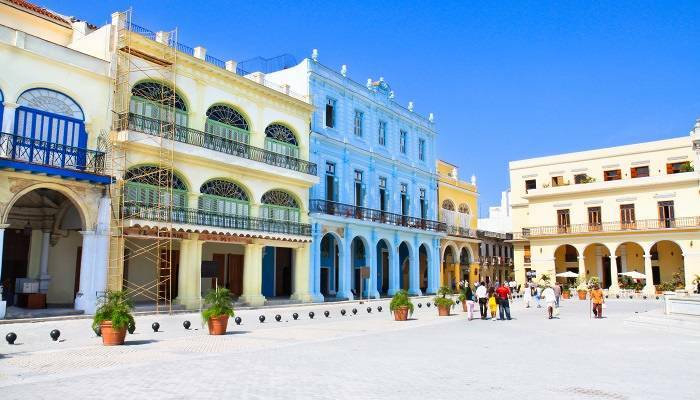 Head to the historic Plaza Vieja to capture that iconic Insta-shot of the surrounding buildings ranging in colour from cobalt blues, to sugar pinks and saffron yellows. Perhaps the ultimate Cuban cliché, but surely there’s no better way to see Havana than from the back seat of 1950s retro car. There are plenty of tour operators offering car tours with a range of classic models in all sorts of dreamy colours. If you’re a culture vulture then Havana has got you covered. 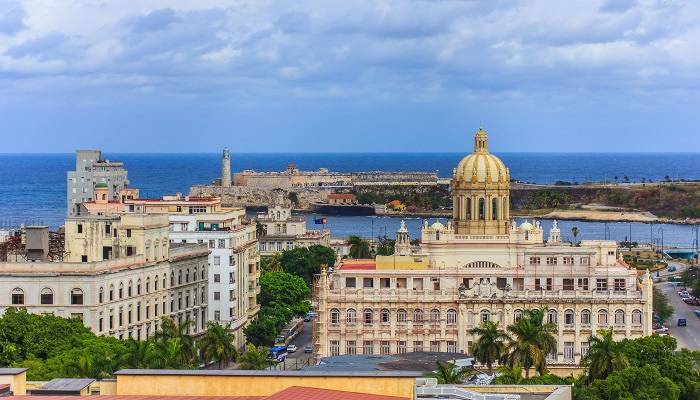 Check out the clothing worn by soldiers during the revolution at the impressive Museo de la Revolución, or visit the Museo Nacional de Bellas Artes for a gander at some of the Caribbean‘s finest art. 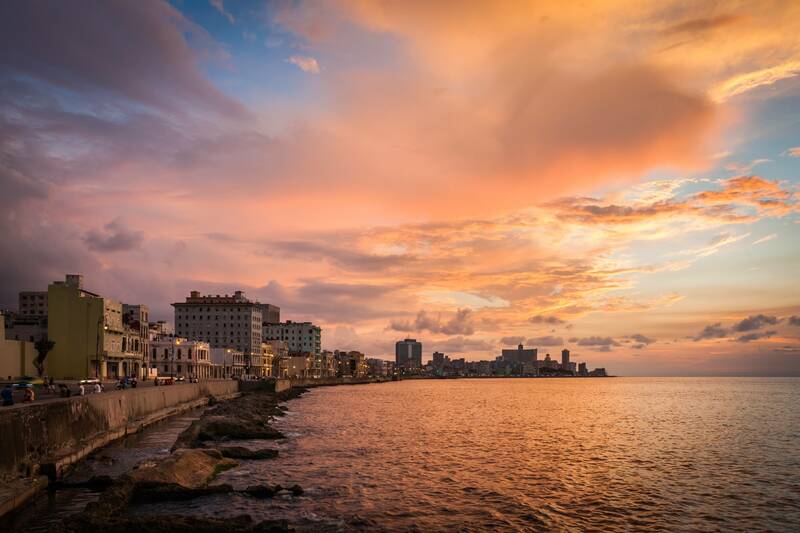 Take a stroll along Havana’s 7km seawall at sunset and gaze at the stunning sun-kissed bay of Havana. This promenade walk begins in Old Havana and runs past Centro Habana into Vedado. In the summer, the Malecón comes alive with the sights and sounds of the Havana Carnival – expect parades, bands and a whole host of the island’s top performers. Despite the not so appealing translation of this dish, ‘old clothes’, it’s actually really tasty! 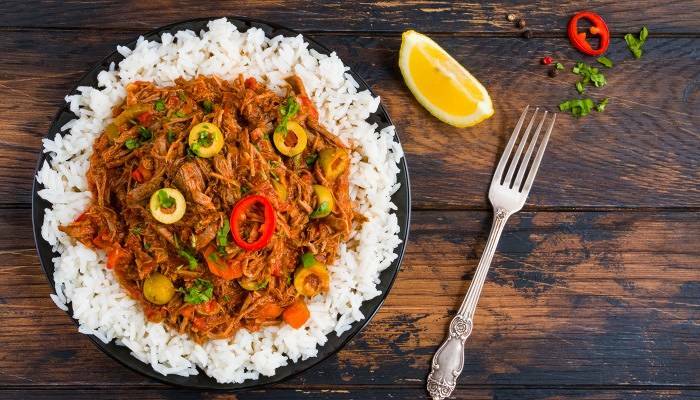 The beef is slow-cooked and shredded in a flavoursome tomato-based sauce with green peppers and sometimes onions. It’s pretty difficult to avoid this dish when visiting Cuba. 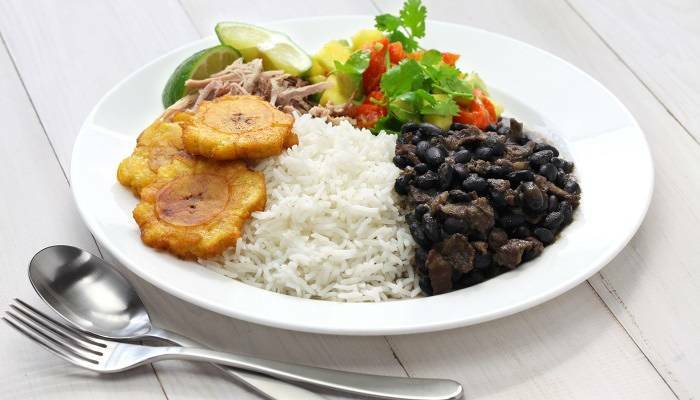 Almost every meal you order will come with a generous bowl of stewed black beans and fluffy white rice – delicious! 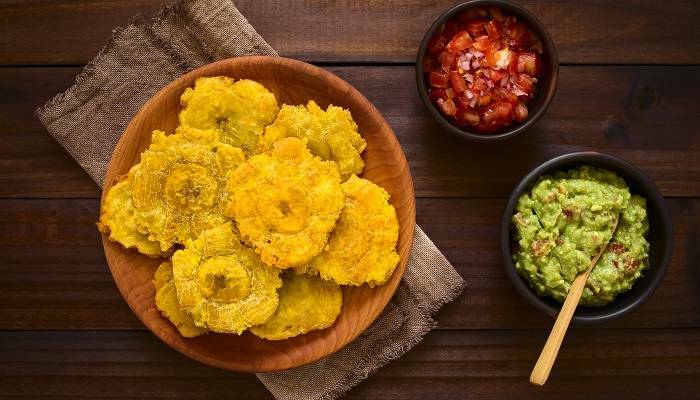 Tostones are twice-fried plantains and can be eaten as a snack or side dish. They are usually smashed up and shaped into little cakes and then deep fried until crisp and golden – yum! For a sophisticated bar, El Floridita in Old Havana is a popular choice. 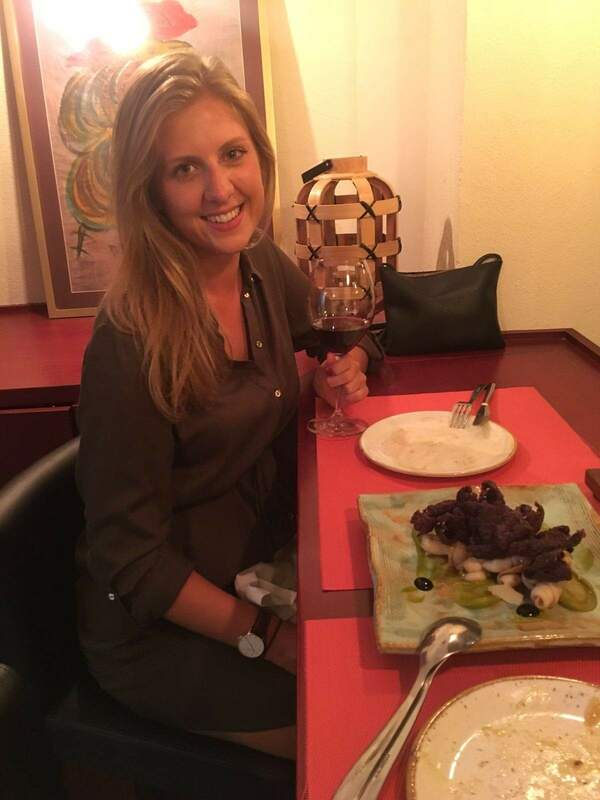 You’ll be surrounded by plush décor and served by waiters dressed in red aprons. 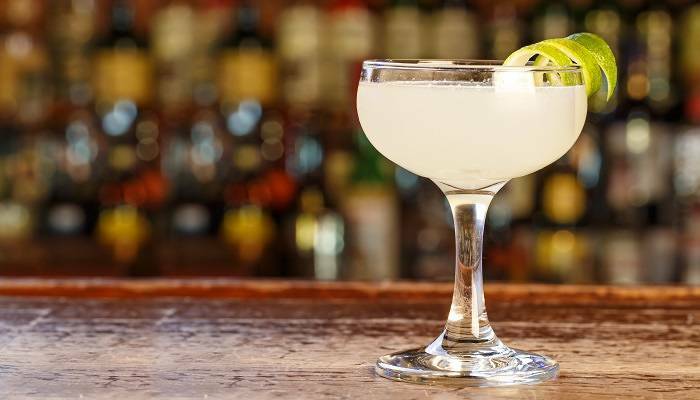 The daiquiri cocktails here are said to be the best in the city thanks to a unique recipe dating back to the 1920s. For a drink with a sea view, check out the Hotel Nacional de Cuba in central Havana which has a great bar called Vista al Golfo. Here you’ll find fantastic drinks with an incredible view of the ocean. For a quick pit stop, try the bar/cafe La Farmacia in Old Havana. Grab a table outside, sip on a mojito and munch on a malanga fritter, a root vegetable bar snack dipped in honey. 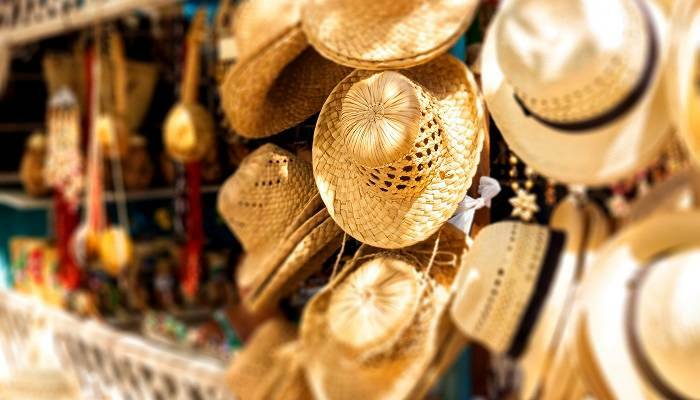 For handmade Cuban goods, head to the open-air Almacenes San José Artisans craft market. Here you’ll find an array of stalls selling items from leather bags and intricately painted ceramic plates, to traditional clothes made of linen and cotton. Also, admission is free – yay! We all know Cuba is world-famous for its cigars. Hostal Conde de Villanueva is one of Havana’s top cigar shops with knowledgeable staff and its own smoking room. If you’re looking to purchase a bottle or two of Cuban rum before you head home, your best bet is to wait until you reach the airport duty free. There is a large selection of brands and the prices are the same as you’ll find anywhere on the island. You’ll also save yourself the hassle of lugging around heavy bottles whilst travelling.